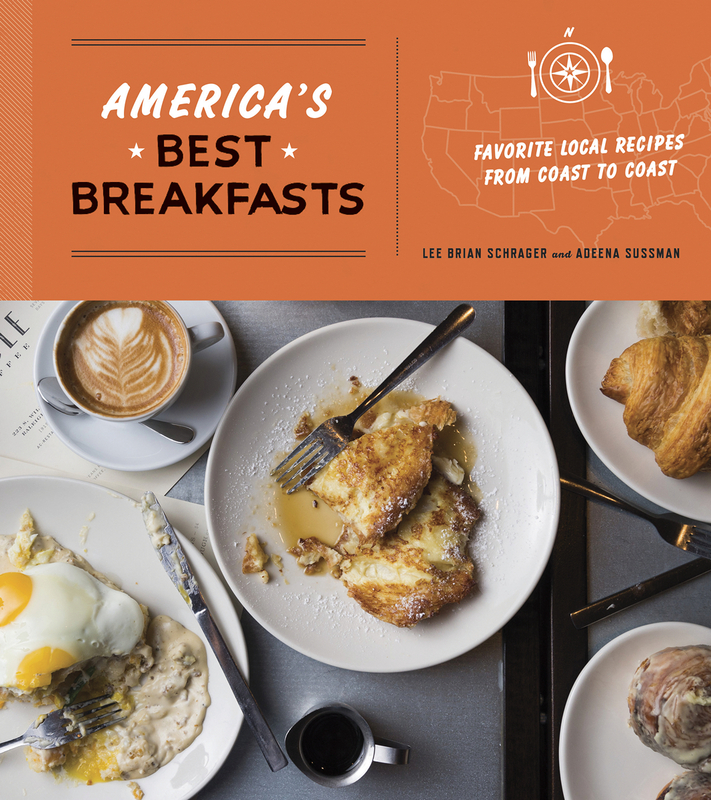 When I got a book called America's Best Breakfasts by Lee Brian Schrager and Adeena Sussman, I expected to see things like waffles, crepes, chilaquiles, pancakes, and lots and lots of eggs. But no, this book has breakfast recipes from restaurants where breakfasts are much more creative. There are certainly egg recipes, but most of them aren't recipes I'd be awake enough to make first thing in the morning. For example, an egg sandwich recipe called Yolko Ono starts with making the sausage that goes onto the sandwich. It notes that you can buy sausage patties, but it's still not a simple recipe, since there's a pesto you'd also need to make. The sandwich sounds amazing, but I'd be more likely to make it for lunch or dinner than for breakfast. Like I said, I'm just not all that awake first thing in the morning. The good news is that I tend to like breakfast foods for dinner, and that's particularly the case with eggs. I'd rather have them for lunch or dinner than for breakfast. So Yolko Ono would be perfect for me later in the day. There are also recipes here that you might not normally associate with breakfast, like pozole, shrimp and grits, spaghetti with clams and crab, and chicken fried steak. I'm not saying I dislike any of those recipes. To be quite honest, I'd rather eat dinner food for breakfast. I'm weird like that. But I wouldn't necessarily make dinner food in the morning so I could have it for breakfast. Like I said, I'm not perky enough to do that sort of cooking first thing in the morning. But I'd be more than happy to have it as leftovers. Or for someone else to cook it for me. You know, if you wanted to come over here and whip it up for me. Then make coffee. Then wake me up. But ... if you're looking for a book that's got recipes you're going to whip up on a whim on a normal day, there probably aren't too many of those sorts of recipes here. You can make components ahead of time to make the final cooking easier, or you could easily work these into a brunch menu. But you'd have to really be a morning person to get many of these on the table for breakfast. On the other hand, the brioche cinnamon buns are probably worth making ... when you have the time. There are a lot of recipes here that I'll make, eventually. Just not for breakfast. I received America's Best Breakfasts from the publisher for review. Leftovers make the best breakfasts. Sometimes I cook something -- fritattas or hash, for instance -- the day before just so I can have them for breakfast.